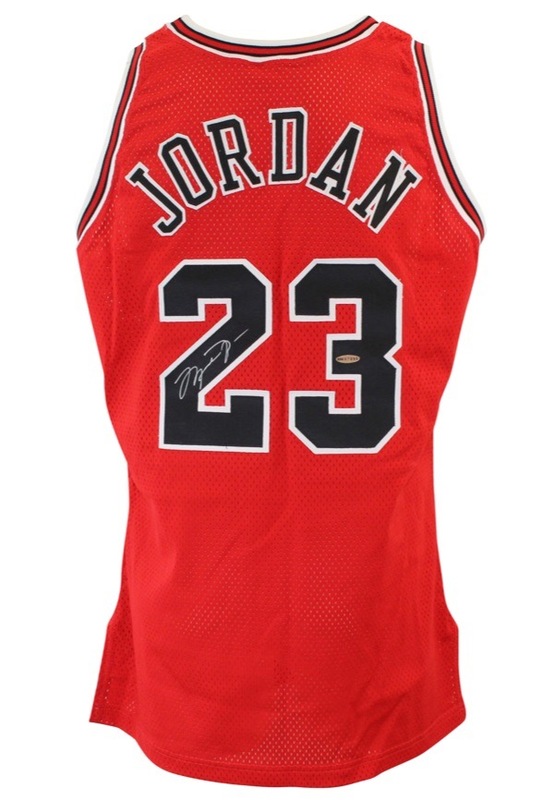 A Champion manufactured Chicago Bulls Michael Jordan road pro cut jersey. On the upper left chest is the official “NBA” logo embroidered in gold. 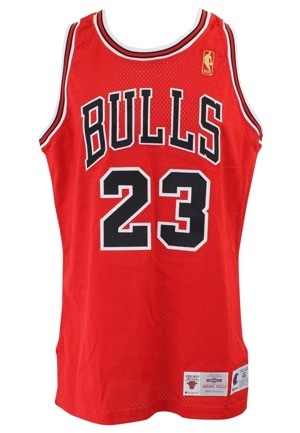 The front reads “BULLS”. 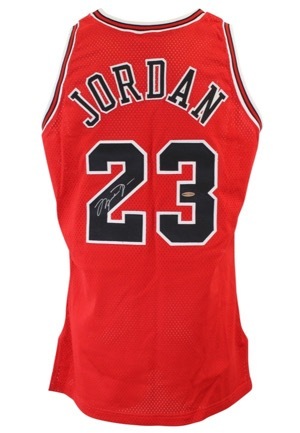 The player number “23” is on the front and back and the player name “JORDAN” is on the back. 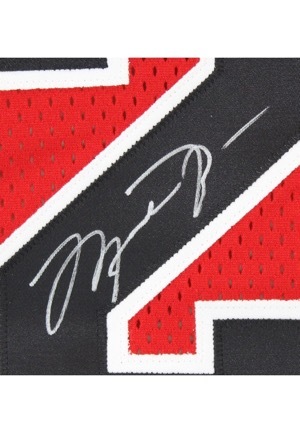 Jordan signed on the back inside the number “2” in black marker and in our opinion the signature rates a 10. On the back inside the player number “3” is an Upper Deck hologram serial number “BAE67890”. Accompanied by a LOA from JSA and the original UDA box.